Business & Industrial ads in Melbourne. Thank you for visiting our free advertising website Business & Industrial, Melbourne section. We provide high response free classifieds and free advertisement. Use our online free Business & Industrial classifieds placement system to find, list, offer Business & Industrial online! Looking for School Function Lights? At CR Lighting & Audio organizing School Fuction and lighting, DJ equipment and more for your party needs in Sydney and all over Australia. We are Specialist of Function, Events, Parties and Home Party & Kids Party. So What are You Waiting for Hurry Up and Call Us Now On 1800 95 99 96. Contact Us:- CR LIGHTING AND AUDIO 31/192A Kingsgrove Road, Kingsgrove, NSW 2208 or visit us online here:- httpwww. 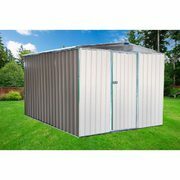 Mightymo Sheds and Carports offers Storage Shed at wholesale prices, choice of selection and personable customer service without compromising on quality. We provide premium storage solutions modified to fit your requirements.Our business model enables us to offer competitive prices unmatched by local retailers. MCG Pavers & Retaining Walls is a local business which began in 2004 in Wodonga, Victoria.Over the years we have built a solid reputation throughout the region by producing a quality product on site.We pride ourselves on using local suppliers and excellent customer service to both individuals and businesses. Fire extinguishers are your first line of defence when dealing with a fire hazard. Over 90% of all fires are controlled or extinguished with the use of fire extinguisher. Therefore, fire equipment servicing is important to ensure the fire fighting equipment works properly. 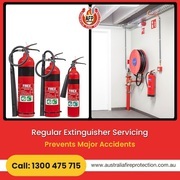 Australian Fire Protection Group provides effective fire equipment servicing ensuring the devices are in order and provide essential protection against future fire risk. The 2-minute instant ready noodles from Nestle is just 2 clicks away from you! Buy your favourite masala noodles from India At Home online. The Nestle Maggi Noodles is the no. 1 choice among kids and adults alike when it comes to striking hunger instantly. Made with premium quality spices and approved ingredients, Maggi masala noodles is a an all-time favourite dish all around India and across many countries. Get reliable lifting equipment like trolleys and slings for manual handling requirements at affordable prices in Melbourne. 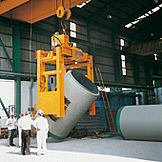 Probst Handling Equipment is a reputed organization provides material handling equipment across Australia. 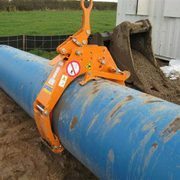 We have a wide range of handling equipment for your site requirements, check out our stock images available on our website. Curcumin powder is extracted from turmeric and is known for its anti-inflammatory features. Besides, curcumin powder is also rich antioxidants providing you healthy body. 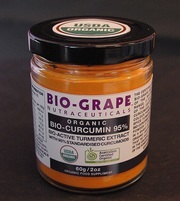 At Australian Harvest, we have Bio-Grape certified 95% bioactive turmeric extract at affordable prices. Buy now: https://www.australianharvest. Are you a party organiser looking for exciting and fun birthday party supplies like balloons, confetti, disposable plates and other decorative material? 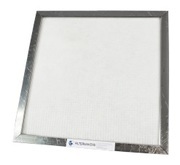 Contact Party Maker to buy bulk party supplies online. Based in Melbourne, we offer a diverse range of party supplies and decorative items at highly affordable prices. When it comes to party supplies, Party Makers has got you covered. With our wide selection of beautiful wholesale disposable party plates, we cater for all your party needs. 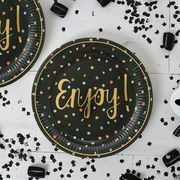 Whether you need regular white plates for a home party or coloured plates for catering or stylish plates for special occasions, Party Maker offers everything you require at affordable prices. Australian Fire Protection offers efficient and affordable fire hydrant services in Melbourne. Hydrants play a crucial element during firefighting. To ensure the fire hydrant work flawlessly during a fire emergency, we offer many types of fire hydrant services like hydrostatic pressure testing and hydrant booster flow testing. 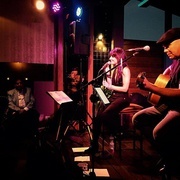 In today’s digital age, it is essential for an artist to have an HD YouTube video to give a boost to their career. Being a professional video production service provider, we understand the importance of high quality and well-developed videos. DreamCube Productions painstakingly go through the different phases of production, from pre-production to post-production to ascertain that the video is glitch-free. Australia free ads for Business & Industrial, Melbourne, Business & Industrial free ads Melbourne, Business & Industrial for sale Melbourne, Business & Industrial to buy in Melbourne. Find on this page free classifieds for Business & Industrial in Melbourne. 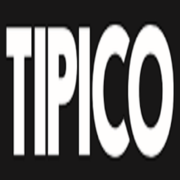 This listing includes classifieds for sale and to buy in Melbourne. FREEADSAustralia Melbourne offers you a platform to post free advertisements or classifieds for Business & Industrial in Melbourne. FREEADSAustralia helps you search, find buy, sell, rent or hire in various categories like apartments, goods for sale, local services, cars , jobs and many more in Melbourne. If you posted an advertisement in category Business & Industrial of FREEADSAustralia Melbourne before please use Edit my ads button to change or cancel your ad. Business & Industrial Melbourne ads Melbourne, Business & Industrial classifieds Melbourne, Business & Industrial free ads Melbourne, ads for sale Melbourne, ads to buy Melbourne, FREEADSAustralia. Find here ads for sale, to buy and rent in Melbourne. Goods for sale in Melbourne, vehicles for sale in Melbourne, Melbourne real estate for sale, Melbourne property for sale, property for rent in Melbourne, business ads in Melbourne, Melbourne business classifieds, services in Melbourne, Melbourne services ads, jobs in Melbourne, pets for sale in Melbourne, Melbourne dating, Melbourne cars for sale.